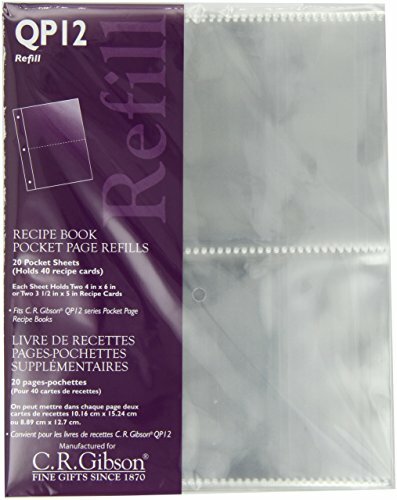 Transparent Pocket Pages fit Pocket Page Recipe Books. 20 sheets per package each sheet holds four 4' x 6" recipe cards. Cards sold separately.